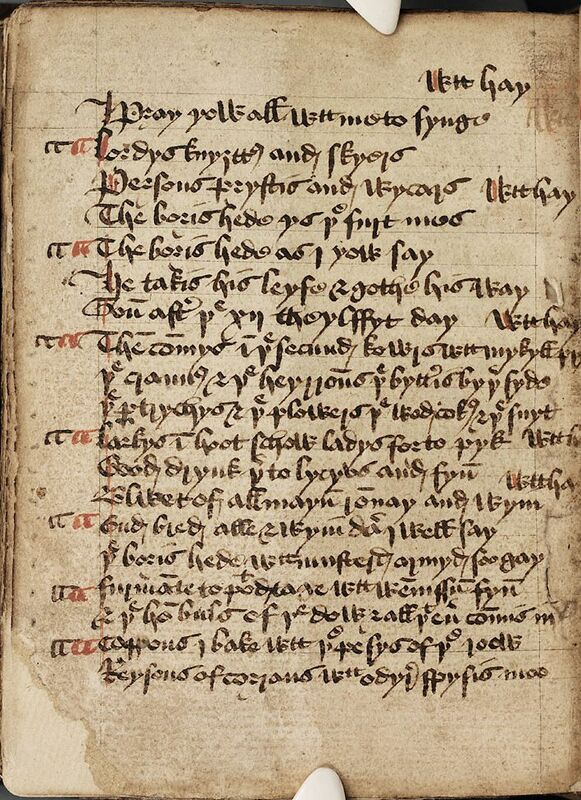 Found in The Porkington Manuscript, #10, f 202 r; now referred to as Brogyntyn MS ii.1. The Boar's head is armèd gay. 2 That is, " the first dish." 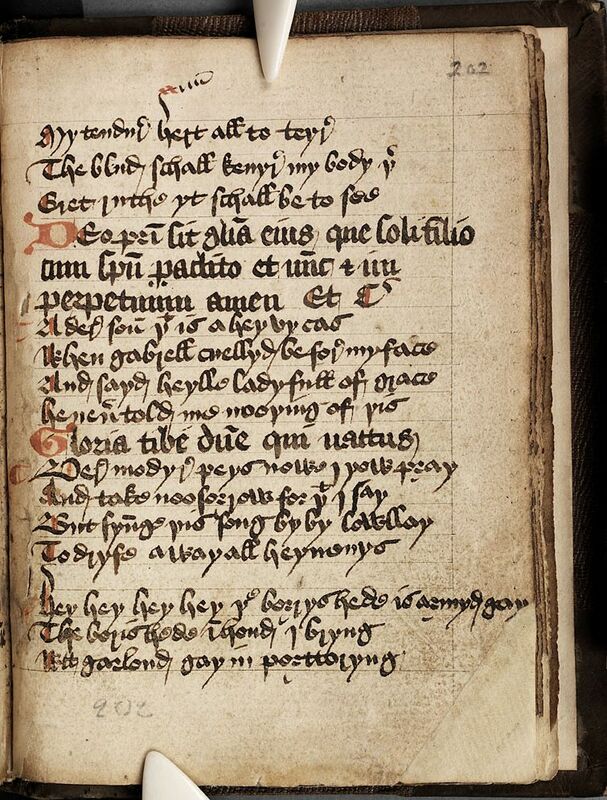 Formerly known as the Porkington Manuscript, #10, f 202 r.
The following is, perhaps, the most ancient of all the Boar's Head Carols. It is preserved in a manuscript of the fifteenth century. It has been remarked, that, in spite of the invitations contained in these Carols to partake of the " first mess," the Boar's Head, it is conjectured, was little else but a show dish ; for, in all the allusions to it, mention is only made of one head being served at each feast, though, even were the number greater, it could hardly have been sufficient to have yielded a mouthful a-piece to the numerous guests who were generally present at these entertainments. Between the courses the minstrels played and sang, the jesters cracked their smartest jokes, and practised their most extravagant antics ; and I dare say, the famous Dance of Fools was not unfrequently performed at this particular juncture, before the attention of the guests came to be directed to the more exciting business which was so soon to follow.